Austin is the eighth President & CEO of Fiduciary Trust. He is responsible for the strategic direction and operations of the Company. Most importantly, he is accountable for maintaining and enhancing Fiduciary’s distinctiveness and ensuring its values-based culture. Active among both colleagues and clients, he works to achieve the Company’s commitment to clients, professionals and its private shareholders. Austin is the chairman of the company’s New Hampshire affiliate, Fiduciary Trust Company of New England, and the firm's holding company, Fiduciary Company Incorporated. 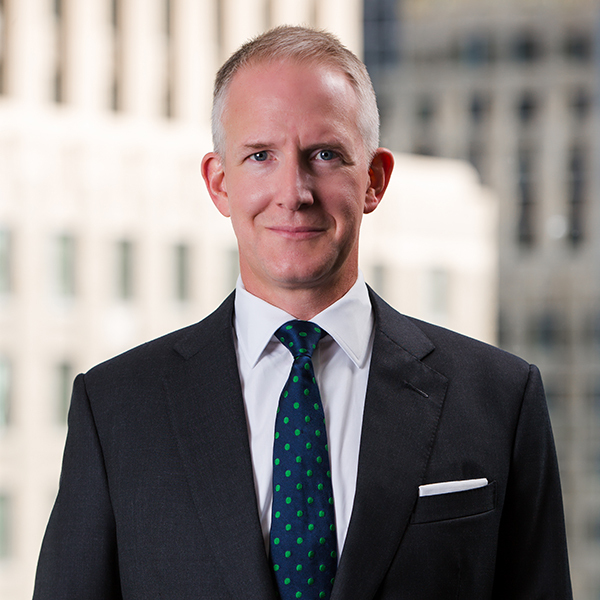 Austin V. Shapard joined Fiduciary Trust in 2014. Prior to joining Fiduciary, he held several senior leadership positions at Rockefeller & Co., the global wealth management firm, including President & COO and Vice Chairman & Managing Director. Before Rockefeller & Co., Mr. Shapard was an Associate Principal at McKinsey & Co. within its financial institutions group. Austin and his wife, Abigail, spend their free time raising their two young daughters. Family activities include: various arts and crafts projects, nature explorations, family tennis and chasing three Jack Russell terriers. When left to himself, Austin can be found reading American history, jogging in the mornings and working on jigsaw puzzles late into the night.